When considering adding any sound system, especially for your House of Worship, practicing “Good Stewardship” should be a given. However, all too often finding “the best value” gets confused with the pursuit of lowest price. As an audio/visual consultant my job is to consider every requirement and explain the cost implications to you. Then I can write specifications to get you the very best installation at the lowest price! 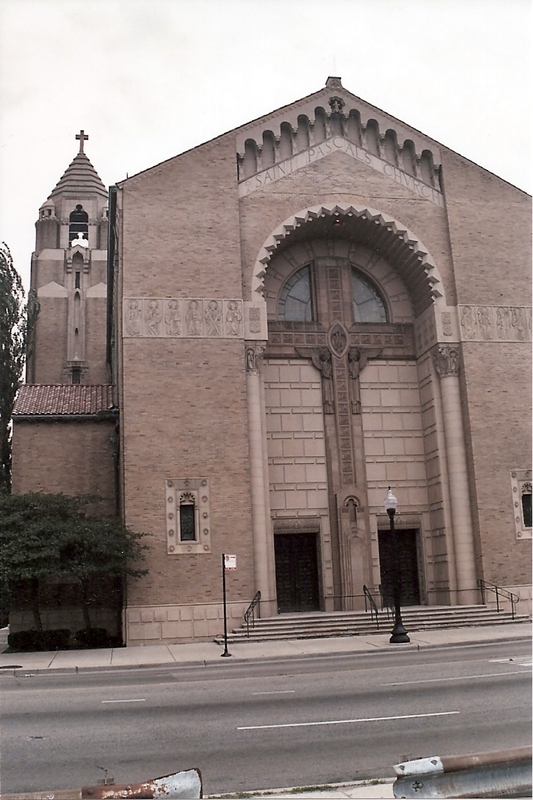 Church sanctuaries are usually much quieter than other “gathering places,” requiring a dynamic range typical of recording studios, on the order of 96 dB. Since all electronic devices produce noise (that annoying “hiss” heard in the background of some sound systems), R&M Consulting’s proposals include meticulous adjustment of the “gain structure” after installation to eliminate audible hiss. A major cause of listener fatigue results from signal-to-noise ratio problems, specifically an improper ratio between early and late reflection of acoustic energy at the listener position. Many rooms have a “sweet spot” where sound system performance is optimized (near perfect). But in a house of worship every seat must be optimized, with early-to-late energy ratio that is appropriate to the congregation’s particular style of worship. Many auditoriums are plagued with “hot” and “cold” spots in the sound coverage. A good design assures there is even coverage in the audience area and no seats are rendered unusable by loudspeaker interaction. While it’s possible to design sound systems optimized for speech OR music, your system must perform well for both. House of Worship systems must have accuracy and clarity required for speech reproduction, while maintaining the extended frequency response and power handling required for music. Audible hum is a major detriment to a church sound system, usually resulting from improper grounding practices. Off-the-shelf equipment must often be modified to work without hum. Any proposed system must be grounded properly with all system wiring routed and properly shielded. Only then can you be assured of “hum-free” operation. A potential for feedback (loud howling sounds) always exists whenever a microphone is placed in the same room as a loudspeaker. This potential increases with multiple microphones and/or long distances from the performer to the microphone (mic'ing distance) – Both are necessities for most churches. Therefore, 2 items are critical for the system to avoid feedback. and mic placement must be carefully chosen. manage the “open” microphones and working distances. Operator training to assure that feedback does not occur should be part of any system proposal. Wireless microphones provide freedom and excellent benefits. They are actually small radio stations, each broadcasting on a specific frequency. To avoid interference between units or from other transmitters, care must be given to selecting wireless systems that are compatible and which allow frequencies to be quickly and easily changed. FRI, or radio frequency interference, is interference in the form of frequencies about the audio spectrum, which become audible when they invade the system. Eliminating RFI can be complex, requiring expertise in proper shielding techniques, and the application of appropriate filters when required. This is all the more important with new FCC regulations to be implemented in 2009. Though often overlooked, knowledgeable, experienced supervision of the installation is an important key to a good sound system. R&M Consulting makes certain proper interconnect practices are carried out and applicable electrical codes have been observed for safety. In a “clean” system, wiring is concealed as much as possible, and the finished system blends well with the décor. Of course, all wall plates and connectors must be wired properly for the system to operate correctly. Completion of the system should include a systematic, meticulous check of all cables, for proper termination and identification. There are many brands of equipment available in the audio marketplace. At R&M Consulting, our years of experience enable us to eliminate marginal equipment from consideration, and to recommend only reliable and repairable products. All proposed loudspeaker cabinets have been “stress tested” for safety and can be suspended above a congregation with confidence. Finally, all equipment meets applicable codes for fire safety and radio frequency interference (RFI) emissions. A properly calibrated sound system will be much easier for your personnel to operate, but takes a significant amount of expertise and the application of advanced instrumentation to make it “user friendly.” Upon completion of this process, all controls that do not require user adjustment should be rendered inaccessible, to save the expense of unnecessary service calls. Once your system has been calibrated, your personnel should be trained to operate the system - and a user’s manual should be supplied including equipment manuals, system wiring diagrams and operating instructions. Your sanctuary is a critical listening environment for speech and music. R&M Consulting knows the sound system must provide adequate acoustic gain, intelligible speech, even coverage and extended bandwidth to all listener seats. The best value in a sound system is one that meets all of these criteria, plus aesthetic and budget requirements. Such a system will provide years of trouble-free service and serve to complement your worship services. If you would like a FREE phone "Consultation Review," of your project, contact us at 815-372-1990. We’ll be happy to visit with you.